This is an original used cast iron bellhousing for a 1958 Corvette / Chevrolet. It will also fit 1957 thru 1964 Corvette and Chevy 4-Speed and 3 speed Cars and Trucks. Bell is dated H-20-7 (Aug,20,1957). "Yukon Gear & Axle Spider Gear Kit --. YUKON GEAR & AXLE – SPIDER GEAR KITS. Includes : Two Side Gears, Two Pinion Gears, Cross Pin Shaft, Cross Pin Bolt and Spider Gear Thrust Washers. Quantity sold : Kit. "AC Delco Differential Bearing --. AC DELCO DIFFERENTIAL BEARING. Therefore all implied warranties that may apply to your part are limited to the duration of this written warranty. Each warranty gives you specific rights, and you may have other rights which vary from state to state. YUKON GEAR & AXLE RING AND PINION GEAR SETS. "Yukon Gear & Axle Ring and Pinion --. Regain lost power from oversized tires by installing a higher ratio ring and pinion. Pinion spline count : 19. Axle type : Dana Spicer 44. "Yukon Gear & Axle Spider Gear Kit --. YUKON GEAR & AXLE – SPIDER GEAR KITS. Includes : Two Side Gears, Two Pinion Gears, Cross Pin Shaft, Roll Pin and Spider Gear Thrust Washers. Axle type : Dana Spicer 44. 1980-1982 C3 Corvette. -For 1980-1982 (C3 Class) Corvettes. Just Corvettes - your one stop for all your C1-C7 Corvette needs. -For Automatic Transmissions Only. "Yukon Gear & Axle Spider Gear Kit --. YUKON GEAR & AXLE – SPIDER GEAR KITS. Includes : Two Side Gears, Four Pinion Gears, Cross Pin Shafts and Side Gear Thrust Washers. Quantity sold : Kit. Spline count : 17. "Motive Gear Ring and Pinion -- MOTIVE GEAR HIGH PERFORMANCE RING AND PINION -- Fits GM-style axle with high ratio differential case; 3.42 ratio; 8.5 in. Quantity sold : Kit. Therefore all implied warranties that may apply to your part are limited to the duration of this written warranty. "Energy Susp Differential Carrier Bushing --. 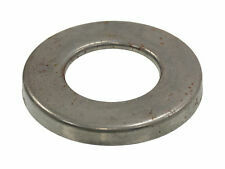 ENERGY SUSPENSION – POLYURETHANE DIFFERENTIAL CARRIER BUSHINGS. Quantity sold : Kit. Notes Location : Front. Location : Front. Condition : New. Therefore all implied warranties that may apply to your part are limited to the duration of this written warranty. GM # 539153. 64-69 Chevy, Chevelle, Camaro. 70-72 Nova, Chevelle. 63-68 Corvette. 73-74 Nova. 70-72 Monte Carlo. Dana 44 Front, Disconnect Design, '93 and older. Dana 44 Front, '94 -'01. Dana 44, Standard Rotation. Dana 44 Rear. Dana 44 Rear, Corvette. Dana 44 Rear, Jaguar. Dana 44, 19 Spline. Chevrolet C10 1/2 Ton (2WD) (1967 - 1968). 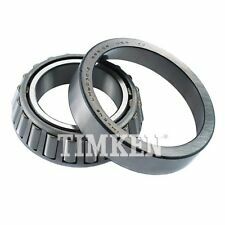 "Timken Differential Pinion Bearing --. Therefore all implied warranties that may apply to your part are limited to the duration of this written warranty. Each warranty gives you specific rights, and you may have other rights which vary from state to state. HINSON Motorsports C5 Billet Aluminum Driveshaft Coupler 10mm Description The HINSON 10mm billet aluminum driveshaft couplers for the early years C5 Corvette will replace the front & rear factory rubber coupler to make a much stiffer and stronger drive shaft assembly. A perfect OEM fit for C5 Models, 1997 - 2000. Features: ---OEM replacement ---10mm coupler ---Fits 1997 - 2000 Corvettes ---Billet Aluminum ---Stiffer & stronger driveshaft assembly ---Made in the USA. Independent Suspension Complete with PBR Aluminum Brakes. Monster Front Dual Piston Brakes. Rear end is a Dana 36. Great for hot rod/rat rod builds. "Timken Pinion Bearing --. Therefore all implied warranties that may apply to your part are limited to the duration of this written warranty. Each warranty gives you specific rights, and you may have other rights which vary from state to state. You need to make sure your vehicle has the Dana Spicer 44 Reverse. It will give you a good idea, but you need to make sure this kit is a match. Fits Front Only Dana 44 Front Ends. Does not include bearings races or any install parts. "Yukon Gear & Axle Pinion Oil Slinger -- - - ". Notes : Outer Oil Slinger for Dana Spicer 25, 27, 30, 44 and 50. Therefore all implied warranties that may apply to your part are limited to the duration of this written warranty. "SKF Differential Bearing --. SKF DIFFERENTIAL BEARING. Therefore all implied warranties that may apply to your part are limited to the duration of this written warranty. Each warranty gives you specific rights, and you may have other rights which vary from state to state. Part Number: LM603049. Established in 1959! Quality USA Standard Ring and Pinion Gear Set Jeep Dana 44 10 Bolt Ring and Pinion 3.54 Ratio Standard Cut. You need to make sure your vehicle has a 10 bolt cover, and inside is Dana 44 Ring Gear. It will give you a good idea, but you need to make sure this kit is a match. Helical LSD For. LSD Type: Helical. High Performance Helical LSD. This LSD Drives Both Wheels Instead Of One. OBX Racing Sports. 97-04 Chevrolet Corvette C5 (inc Z06). Design And Quality Of OBX Racing USA. 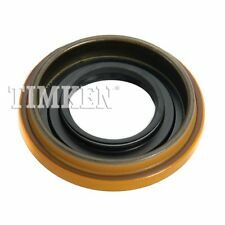 "Timken Differential Bearing --. Therefore all implied warranties that may apply to your part are limited to the duration of this written warranty. Each warranty gives you specific rights, and you may have other rights which vary from state to state.